Beautifully manicured. The sharp angled blades gently and accurately trim overgrown cuticles, while the calibrated tension gives foolproof grip and accurate control. 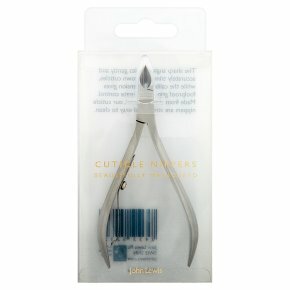 Made from stainless steel, our cuticle nippers are strong and easy to clean.